Stirling Dynamics will be exhibiting at Bristol and Bath Venturefest 2015. 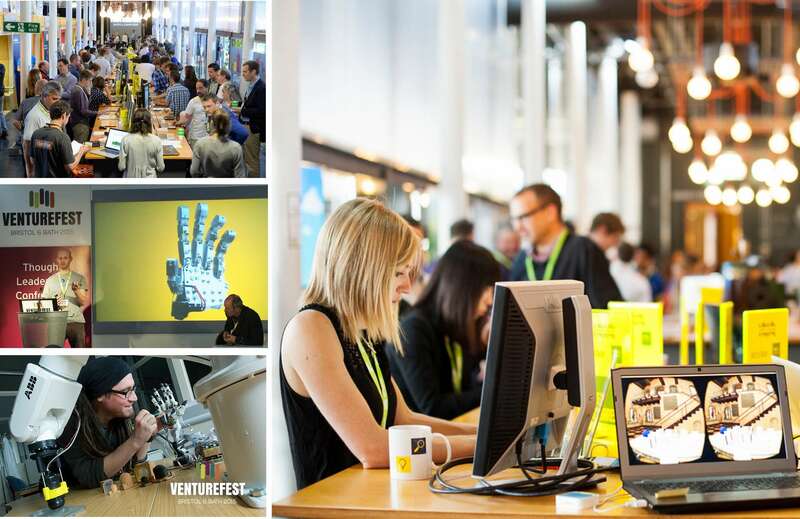 Venturefest is a one day technology event, which will be showcasing Bristol and Bath’s most innovative and enterprising companies and start-ups. The event is being held on Tuesday 9th June at the Engine Shed + Passenger Shed in Bristol, and has attracted support from leading global businesses including Airbus, KPMG, Skanska and First Group. Green technology is a major theme at this year’s event, which ties in nicely with Bristol’s year as the European Green Capital 2015. Whilst at the show, Stirling will be exhibiting some of our key low carbon technologies and capabilities and will also showcase some of the R&D Projects we have recently been involved in, such as a tidal energy project looking to improve efficiency and energy output, to pipe inspection robots and water waste treatment using algae projects. In addition to our exhibition stand, Stirling’s Energy Business Manager Peter Stirling, will also be presenting at the event. The presentation entitled “Diversifying into low carbon technology” will provide an insight into how Stirling as a company has been able to take some of our proven core capabilities in control systems and condition monitoring systems, and developed them for this new and exciting sector. Stirling has an established reputation for technical excellence in the Aerospace, Marine and Defence sectors but has seen an opportunity for growth and diversification in the low carbon sector. Peter’s presentation will take place at 12.30pm in the advanced engineering section of the show.